The still-pristine island of St. John is the smallest of the three U.S. Virgin Islands and lies just 3 miles east of St. Thomas and a mile from the nearest of the British Virgin Islands. 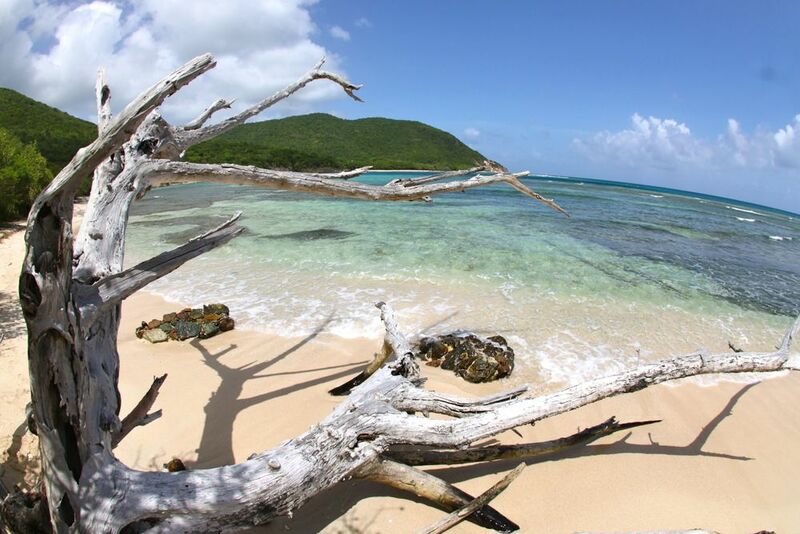 Nearly two-thirds of the island is National Park with untouched beaches, forests and nature trails for your enjoyment. 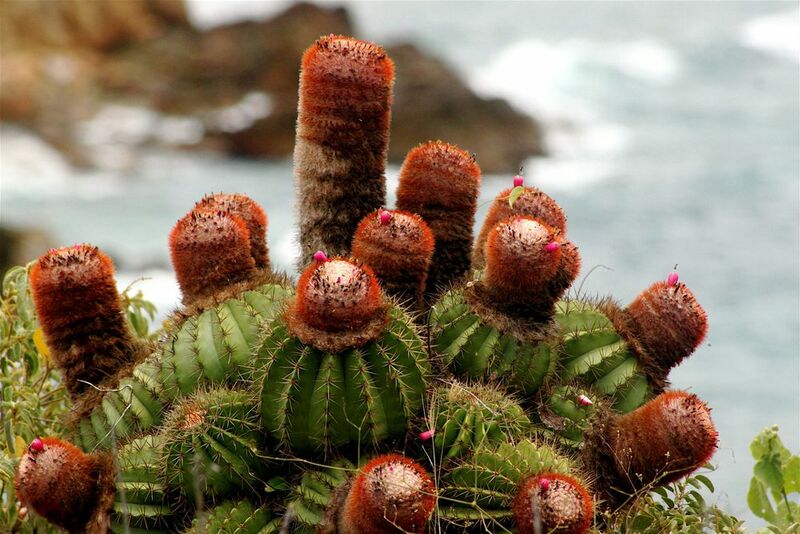 Nature lovers will be amazed by St. John’s ecological diversity, from cactus-laden desert bluffs to lush tropical forests singing with tree frogs and painted by orchids. 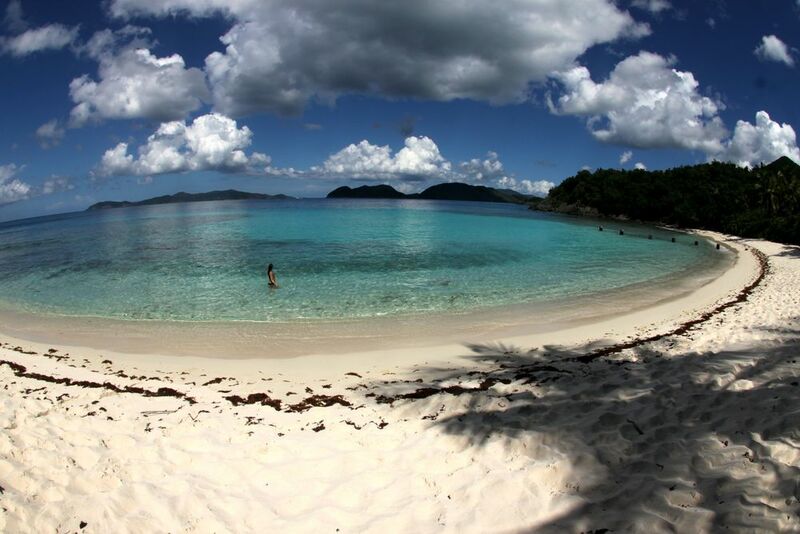 The true treasure of St. John is its beaches, white with soft, sugary sand and edged by coconut palms,gentle waters, and pristine coral reefs. 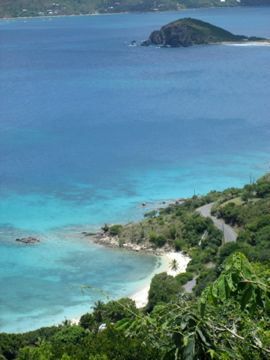 World-famous Trunk Bay is here, as are spectacular Hawksnest Bay and Cinnamon Bay. Part of the national park land is underwater and home to amazing coral reefs,plant life, tropical fish and turtles. Beyond the spectacular natural beauty, St. John is a colorful and artistic community filled with unique shops, boutiques and vendors. The shelves are filled with local artwork and distinctive jewelry as well as exotic imports. All of the restaurants are locally owned, each serving up tantalizing flavors and atmosphere for even the most discerning palate. Local seafood such as mahi mahi, Caribbean lobster, conch, wahoo, yellowtail snapper and tuna are always fresh and available. Many visitors will be captivated by the fascinating history of St. John and the Caribbean. From the Taino, Arawak and Carib Indians, to the days of piracy, to the Danish sugar plantations, St. John has amazing stories of slavery and freedom, rebellion and discovery. Many remnants of those days have been preserved here. 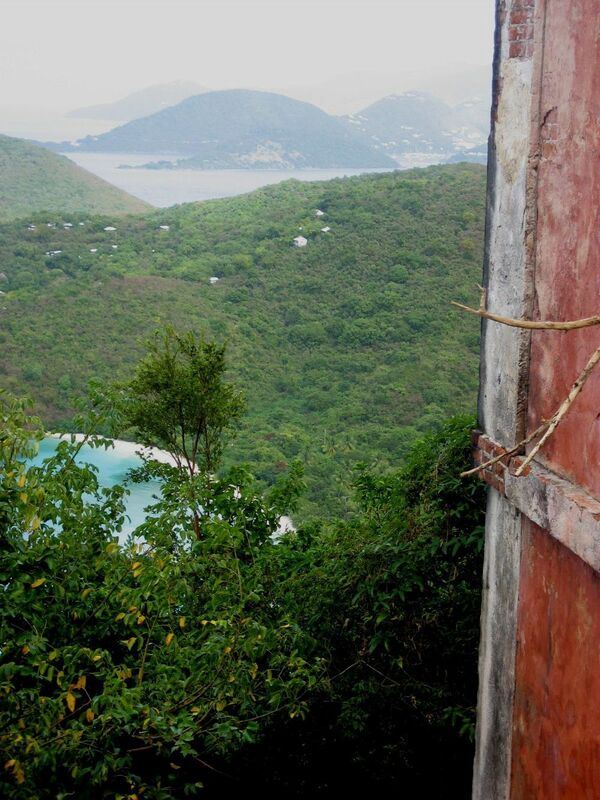 Upon your exploration you will find Danish sugar mill ruins, archeological digs,and petroglyphs from the ancient tribes that first inhabited St. John. The U. S. Government purchased St. John from Denmark in 1917. A Naval governor ruled until 1931 when the U.S. Dept. of the Interior assumed control. We are an unincorporated territory. Residents of the Virgin Islands vote for a local Governor. We cannot vote for the President of the United States.However, we do receive all other benefits awarded to Citizens of the (mainland) United States. Being a Territory of the United States, U.S. residents DO NOT need a passport to travel to the US Virgin Islands. U.S. residents, including children, may send or carry up to $1,200 of duty-free merchandise every 30 days from the U.S. Virgin Islands. If you go over the $1,200 allowance,your Virgin Islands purchases are taxed at a flat rate of 5% on the next $1,000, and 6.5% after that,depending on the type of goods. You can also send as many gifts as you want to friends and relatives-but no more than one per day-spending up to $100 each. These do not have to be declared in your exemption. U.S. residents over 21 can return to the United States with 5 bottles of liquor duty free. You are allowed 6 bottles if one is locally bottled. All island-made goods are duty-free and do not count toward your exemption. Call the Bureau of Customs at (340) 774-5539. Virgin Islands zoning, building & housing laws & regulations may be obtained from the Office of the Lieutenant Governor, accounting section, 18 Kongens Gade, St. Thomas 00802, (340) 774-2991. Masonry construction costs are approximately $350/per square foot. guidelines. The EDC program grants long-term tax exemptions in exchange for investment in the territory. 1% Customs Duty on raw materials and component parts used in industrial and manufacturing processing. Although not required, title insurance is available and recommended. Full Homeowner’s insurance coverage including Windstorm/Earthquake insurance is about 2%-3% of replacement value for masonry/stone (wood frame may be higher). Myrah Keating-Smith Clinic on St. John plus several private physicians. Mortgages are available through banks and lending institutions, including First Bank, Bank of Nova Scotia and Merrill Lynch. Most banks require the Buyer to pay for a title search, title insurance, property appraisal, surveyor’s certificate and report, survey and bank attorney fees. Second home buyers can qualify for at least 70% loan to value mortgages and some sellers will offer owner financing. We will gladly prepare an amortization schedule for you. This is the new VI Government formula for calculating the property taxes on various property types.However, the part which is not finalized involves the new property values which have been assigned recently by the VI Tax Assessor. The 2010 property tax bills have been issued using the 1998 property values and tax rate. The 2011 bills will be issued also at the 1998 level. An important source for valuation information on each parcel can be found at www.VIPropertyRevaluation.com. You can arrive at an estimate for property tax using the valuation amount with the appropriate mill rate as stated above. The SJBOR will do its best to keep you accurately informed of new developments or final decisions made by the judiciary and the VI Government. St. Croix: 1105 King Street (Government House, Christiansted); 1131 King Street, Suite no. 101 (Christiansted); 4008 Est. Diamond (Dept. of Finance, Sunny Isles); Lagoon Street Commercial Building No. 1 (Frederiksted). Payments can be made in person or by mail. Checks, cash, money orders, ATM, debit and credit cards(Visa and Mastercard only) are accepted. Persons submitting their payments by mail are advised not to send cash. Income Taxes are the same as U.S. Federal taxes. No state or city taxes. Businesses pay 5% gross receipts tax on gross money earned from all transactions including services. Monthly exemption is $9,000 for taxpayers with gross receipts of less than $225,000. All transactions require documentary stamp (transfer stamp tax) on all real estate sales and can be paidby the Buyer or Seller. The tax benefits of 1031 Exchanges provide tremendous flexibility and encourage investment growth. The 1031 Exchange is shorthand for Internal Revenue Code section 1031, which provides that capital-gains taxes on the sale of investment property or property used in a business or trade can be deferred if the property is exchanged solely for property of a “like kind.” “Like kind” property does not mean the properties must have the same use, as long as they are held for investment or business use.For example, an apartment building could be exchanged for raw land, or a rental house for a retail center. It’s important for real estate practitioners to be knowledgeable about how 1031 exchanges work, but their main responsibility is to inform their investor clients that the strategy exists. Investors should know that investment properties are subject to preferential treatment under a special tax code, and you consult a tax adviser before selling an investment property. Complex rules that dictate the exchanged properties must be identified in 45 days and that the exchange closing must take place in 180 must be followed exactly or the preferred tax treatment may be disallowed by the Internal Revenue Service. For complex 1031 exchanges, please seek legal counsel. Internet connection through DSL, Broadband, Wireless & Satellite services. There are numerous cybercafes and the St. John Library offering internet access. Cellular phone service is available through AT&T, Innovative Wireless, Sprint, Verizon. In 1950 Mr. Lawrence Rockefeller purchased extensive holdings on St. John from the Danish WestI ndies Company, developed Caneel Bay Resort and donated remaining acreage to the U.S. Government as public park and Congress formed the VI National Park. Electric is supplied by underwater cable from St. Thomas with a back-up generator on St. John. WAPA(Water and Power Authority) office is located on the 3rd floor of The Marketplace, (340) 776-6446,Mon-Fri.
Cable TV service is provided by Innovative Cable TV. The office is located on the 2nd floor of The Marketplace. (340) 693-8685. Rain water is collected from the roof and stored in cisterns. Water is available for purchase from the desalination plant at a cost of about $365 for 4,200 gallons or about 8.7 cents a gallon. Required cistern capacity is 10 gallons of cistern storage for every square foot of roof on single story home, 15 gallons for a 2-story home. The Yacht Clubs meets at 6:30 p.m. the first Wednesday of each month at Skinny Legs in Coral Bay onSt. John.